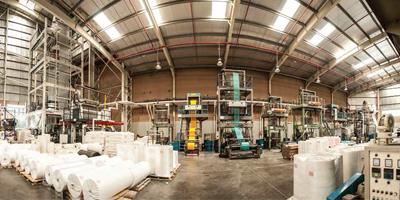 At Al Jabri Plastics, we deliver an extensive range of services, from designing and engineering to manufacturing of polyethylene plastic products, regardless of its complexity and size of order. Using state of the art and high speed PLC based servo driven machines, our highly dedicated and experienced staff ensures that every aspect of product development has been finely tune to render fast, cost effective and dependable service. This is further supplemented by an efficient distribution network that guarantees prompt and reliable delivery of products both within the country and overseas market.